Do you perchance remember the production of Oliver! we did, or was that just before you? My brother was at the school until 1970 - he's 55 now I think? So when Oliver was done we went to see it. It was very good. I saw Oliver again at Ralph Thoresby last year and that was awesome! I recall Clanger as one of the last masters to wear the black gown and even on occasions the mortarboard!! Mr. White in Physics was nicknamed "Hitler". I walked around the school grounds before xmas and a lot flooded back to me! perhaps 'herr weiss' would be a better name?? Mr White had an amazing ability when writing on the blackboard - standing to the left, he'd start writning with his left hand, half way across he'd change sides and finish writing with his right hand. Then the party piece, he could write the whole line again, literally from the end to the begining (backwards) so that there were two identical lines of writing on the board! i do not know this man,but i will concur he is a man of remarkable ability,he being the third person only i have known of in almost 42 years,able to perform such a feat,the first was a brother in law (who is of no blood) the second is my daughter,who now excels for a law firm and your old teacher.i must confess...i have always envied the ambidextrous. You'll be pleased to know, should it happen, that his left arm worked as well as his right when we got him in the pub during the Holls! I have seen a photograph now and again since being very small, of a beautiful house which looked like a very grand manor type house. This i was told was the house that i was born in. Ive always been totally mesmerised by this picture and came across it again in the last few days. All i was told about it by my grandma when i was a little girl was that it was i think called Fearnville House and it was made into four apartments and my mum and dad rented one of the apartments on the ground floor before i was born. I also was told that i was born in Bramley. I no longer have any family that i can talk to about the history of this house and picture but i am so drawn to it and always have been and for some reason (i dont know why) i feel that i have to find out the history of this house and what happened to it. I tried to find out a bit about it a while ago and i was told that it had been pulled down so I would love any information however small, web sites, pictures, anything at all that anyone can give me. I longer have my grandma and grandad or my mum or dad that could help me with this. Maybe this is why when i got hold of this picture again, that i felt the need to find out about it, maybe i feel if i find out the history that i may find my roots, somewhere that i belonged?? I dont know if anyone relates to this but i hope so. I think i may sound a bit mad but im not honest, just a very emotional deep feeling person that wants to find out where she started out in life but with very little to go on and feeling a little desperate! Have you looked at the top of page 3 in this thread Tracey? You might find it's what you're looking for if you read down a way. Ive been trying to find the house that i was born in and as far as my research shows, this house seems to be Fearnville, from info i have been given from nice people on Secret Leeds and research on the web. If im wrong then i sincerely apologise but i hope im not because i want more than anything for this house to be my birthplace, cos it seems its maybe one of only a few beautiful houses still standing in this area. DID WE EVER GET ANYWHERE WITH THIS THREAD...DO ANY OF THE NEWER MEMBERS HAVE ANYMORE INFO,PERCHANCE?? I've just been looking at this place regarding something I'm doing about the gatehouses of Leeds. I thought I'd add a few photos, and aerial maps together on here for the record. I think these areial images put things into context a lot better. The area blanked out should be pretty spot on where Asket Hall once stood. The stables to it still survive just past Ladywood Grange. This house now stands on part of the spot occupied by the hall, the stone retaining wall still in view was Asket Halls boundary with Asket Hill. View of what had originally been the stables of Asket Hall. The house itself has been demolished but these properties remain and were numbered on the 1952 OS map as 1 and 2 Asket Hill. On the census of 1881 the house called Asket Hill was the home of Thomas Green, a Mechanical Engineer. Stables today along Asket Hill. 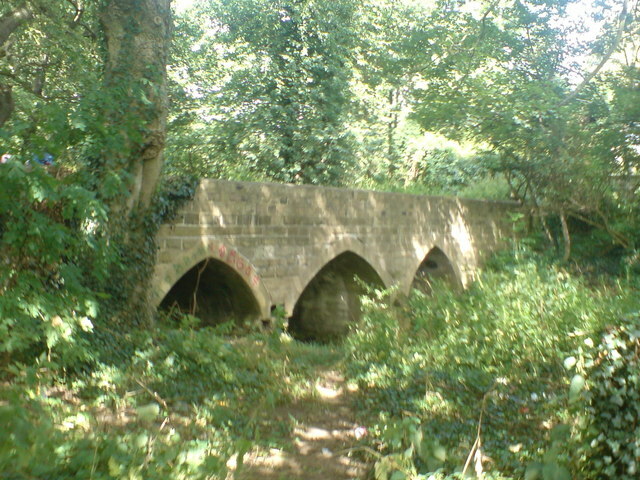 Bridge over the Wyke beck carrying the carriageway from the gate house. The fine looking gate house on the sharp curve at the bottom of North Lane. It appears like Asket Hall was demolished sometime between 1956 and 1968 looking at the old maps.